Andrew’s newest release “Whatever Still Remains” is primarily a home enterprise with Delaney playing producer and engineer after spending his last three studio efforts studying over the shoulder of Grammy winner Steve Christensen (Steve Earle’s “Townes”). On “Whatever Still Remains”, Andrew embraces his unapologetic love for things like monster movies, Andre The Giant, and The Rocky Horror Picture Show, and uses them to frame up universal stories of wonder, loss, and the search for belonging. The album features guest appearances by folk notables Ordinary Elephant, Justin Farren, Alice Wallace, and Mia Rose Lynne - among others. Delaney continues to build his reputation in the folk world with his selection to the 2018 Falcon Ridge Folk Festival’s Emerging Artist Showcase. 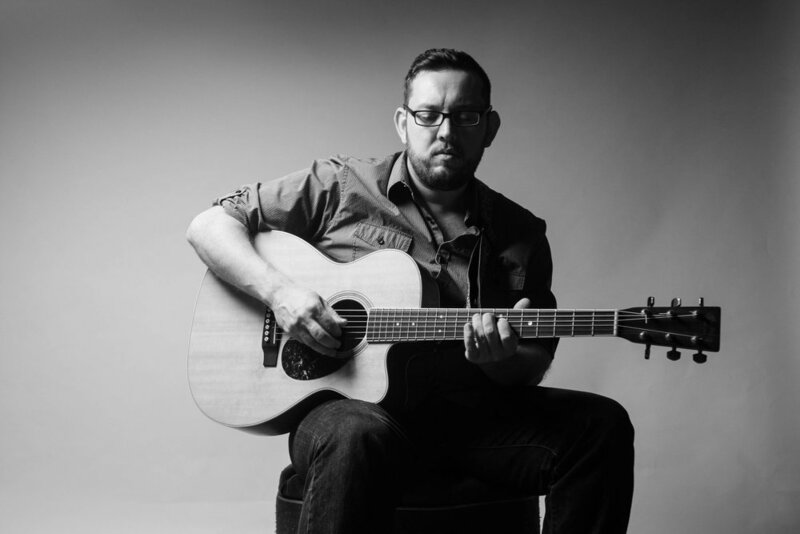 His past accomplishments include: winning the 2017 Songwriter Serenade; performing as a finalist in the 2017 Rocky Mountain Song Contest at the Rocky Mountain Folks Festival; being named an Official Selection at the 2017 H.P. Lovecraft Film Festival in Portland, OR for his music video directorial debut “Howard”; and playing the main stage at the Kerrville Folk Festival in 2016 after being a finalist in the famed Kerrville New Folk Competition in 2015, 2013, and 2010. 2018 also finds Andrew producing records for Dallas, TX songwriter Justin Pickard and Denver, CO’s Emily Barnes. "The Alfred Hitchcock of singer/songwriters." "Delaney doesn't spin his own personal T.M.I. into our laps. Rather, he draws from it to craft creaky, wooden yarns that stir your insides." Video for "Howard". Directed by Andrew Delaney. Official Selection 2017 H.P. Lovecraft Film Festival.